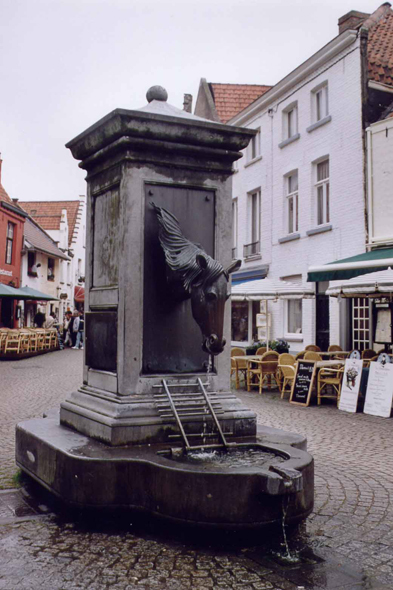 A fountain in the streets of Brugge. Two important traditions also make the reputation of Brugge: the true local handicrafts that is the pillow lace, and festivities celebrated during the Ascension Day with the procession of St. Blood.